We love to display my cosmetics on my dressing table. Not only it is easily accessible, seeing them encourage us to use them. Most of our cosmetics were usually chucked in the drawer, with a few of my daily must-have lying haphazardly on the table. 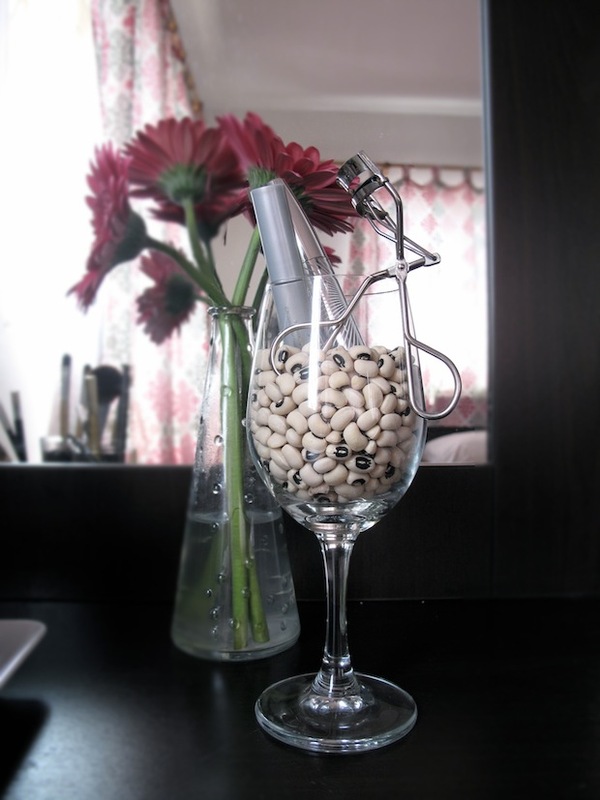 Then we found, a simple and beautiful way to organize them: in glass jars filled with coffee beans! 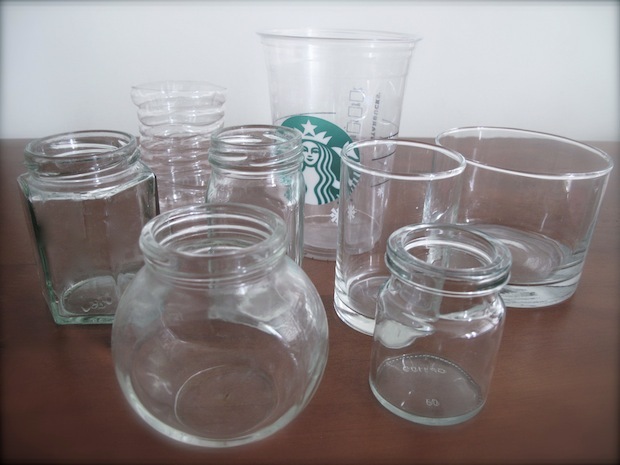 I gathered jars of different height and width. It creates variation and allows you to adjust what might be suitable for particular cosmetics. 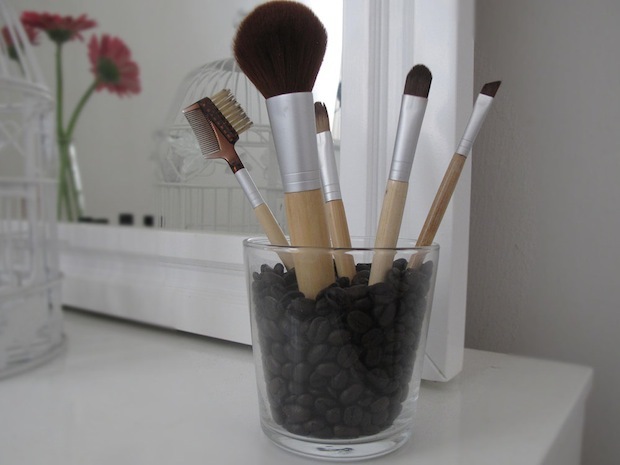 Long brushes, for example, requires a taller glass jar and lipsticks will require a shorter one. You don’t even need to buy the jars. 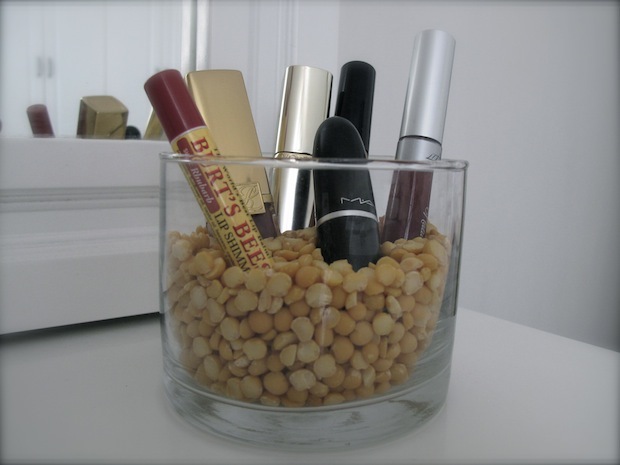 Reuse empty glass jars from jams or body products. 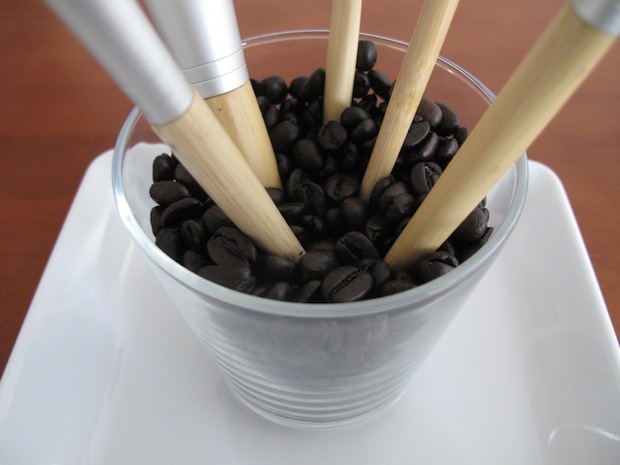 You can also use plastic bottles or clean coffee beans plastic. 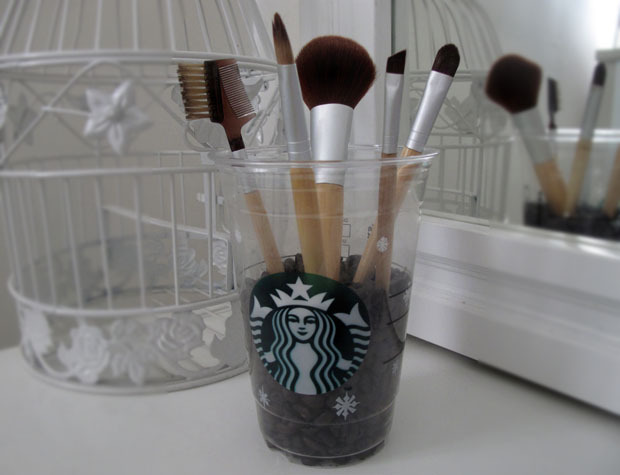 We love using Starbucks’ plastic cups filled with Starbucks’ coffee bean! Then simply fill the jars with beans. There are plenty of beans of different colors to choose from, most are inexpensive too. 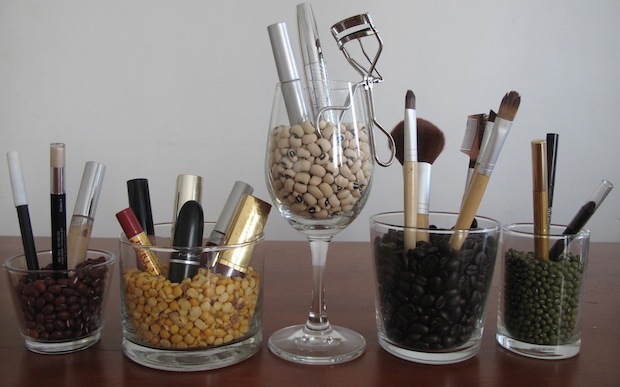 Choose whichever beans which complements your room most. 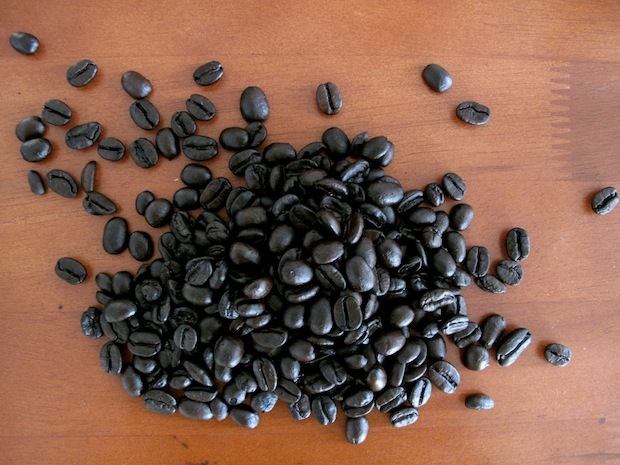 Coffee beans, though more difficult to find and more expensive, has the advantage of being aromatic. Its strong scent freshly that will definitely awakes you in the morning and reminds you of a coffee-house. Unlike other beans, it is also least likely to attract weevils especially. If you use the other beans like lentil and red beans, we suggest changing the beans after a while. Even better, forget beans all together. 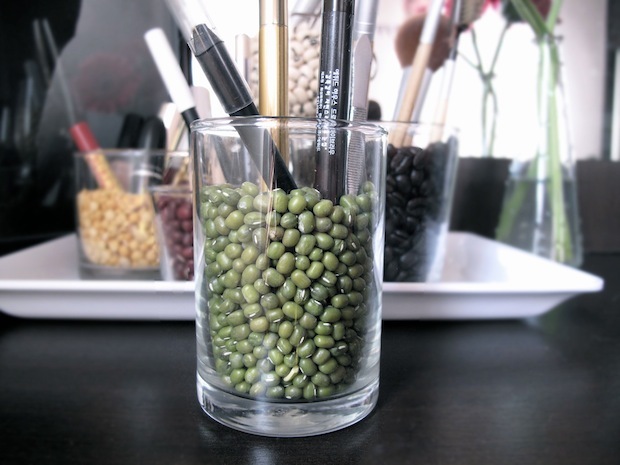 Use glass beads/vase fillers from the floral shop, saga seeds, marbles or little pebbles. These last for a long time. One thing I try hard to avoid is wasting my precious minutes searching for things, that is especially in the morning struggling to get out of the house looking perfectly made up. Putting different kinds of cosmetics in different jars help me get what I want immediately. If you have a lot of makeup, get more jars and be more specific e.g one jar to hold your everyday black/brown eyeliner and another for colourful/glittery eye pencils for special event. That’s it! There you have all your cosmetics organised! 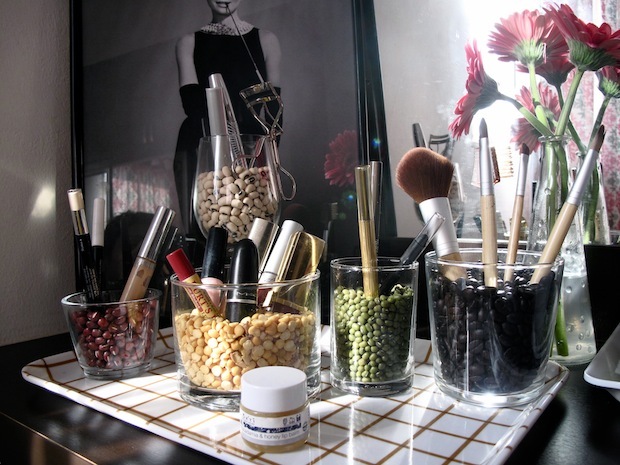 How do you organize your cosmetics table? What do you think of this project? Drop us a comment below!